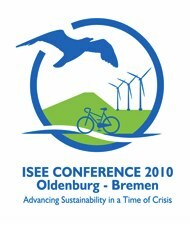 The International Society for Ecological Economics (ISEE) will hold its 11th biennial conference: ADVANCING SUSTAINABILITY IN A TIME OF CRISIS on 22 – 25 August 2010 at Oldenburg and Bremen, Germany. The extended deadline for abstract submission is 30th November 2009. More information here or here (pdf).